Preparation and readiness are essential to minimizing damage when an incident happens. So is having the right partner. 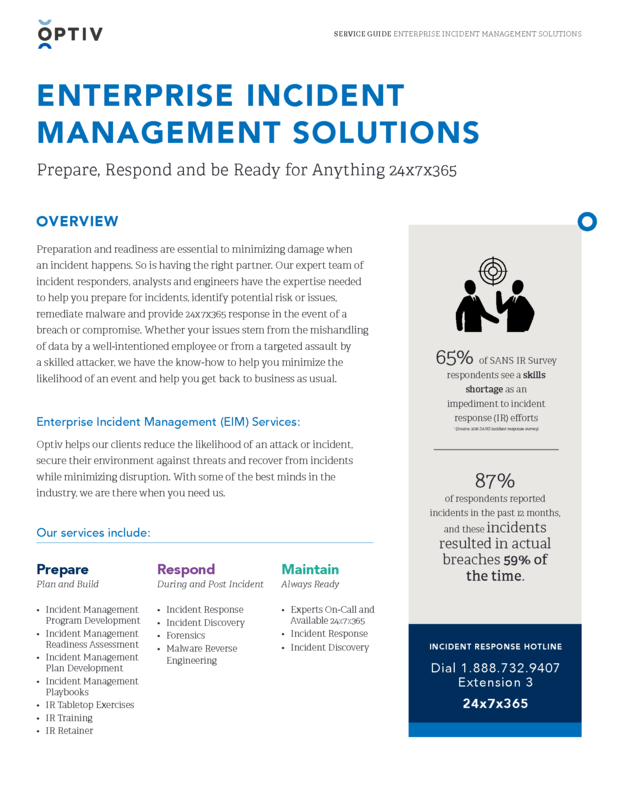 Our expert team of incident responders, analysts and engineers has the expertise needed to help you avoid trouble, identify vulnerabilities, eliminate malware and provide assistance in the event of a breach or compromise.